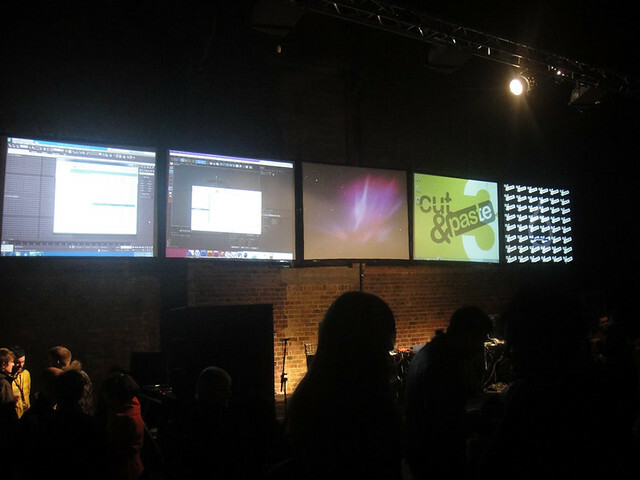 Another day another outing, this time it was to the Village underground to see this years Cut&Paste Digital Design Tournament. 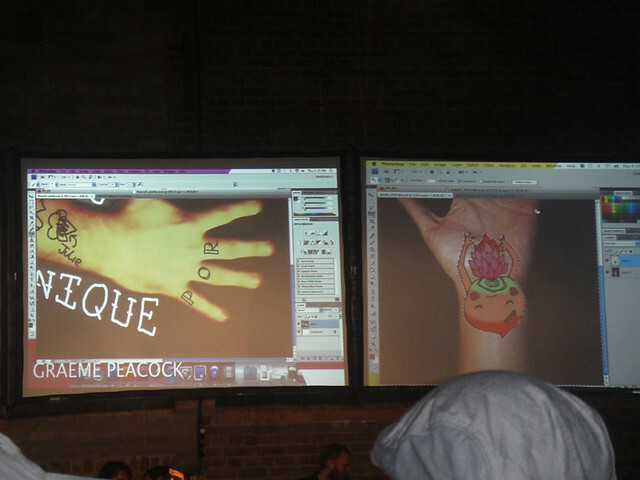 The event had designers across 2D, 3D, and motion graphics battle it out through live action rounds, having just 15 minutes to create their final designs. Before the main battles commenced there was a brief talk from Yannis and Christos who are the founders of motion graphics studio Nomint. They presented the multi awarded short film 'The Holy Chicken Of Live & Music' and shared their thoughts and processes behind it's production. 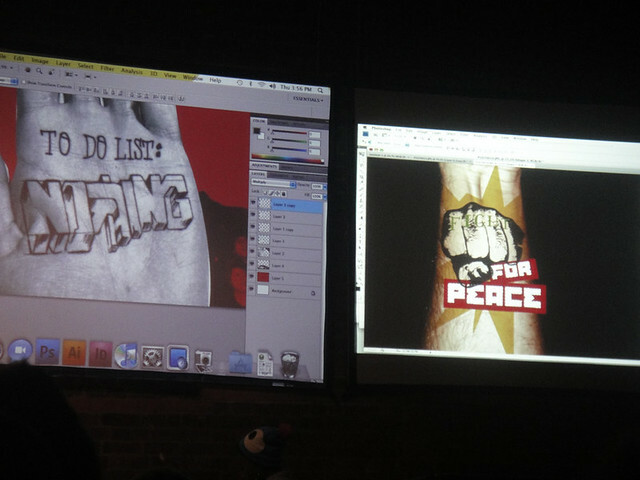 I hadn't seen the work before so it was a real treat being introduced to these guys, they are incredibly creative and it was great to see the process' they went through. As for the tournaments i have to say i wasn't overly impressed with the designs being produced, i can only assume the pressure of the crowd and having only 15 minutes to produce the work had a big part to play. Still it's easy for me to say that as i haven't been up their on stage.